With our company, you have a choice of having your Indoor Arena constructed as a pole barn, using post-frame construction or as a heavy duty steel building. 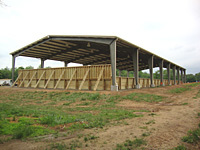 If you are looking for a smaller size arena, a regular pole barn would be a better and more economical option. 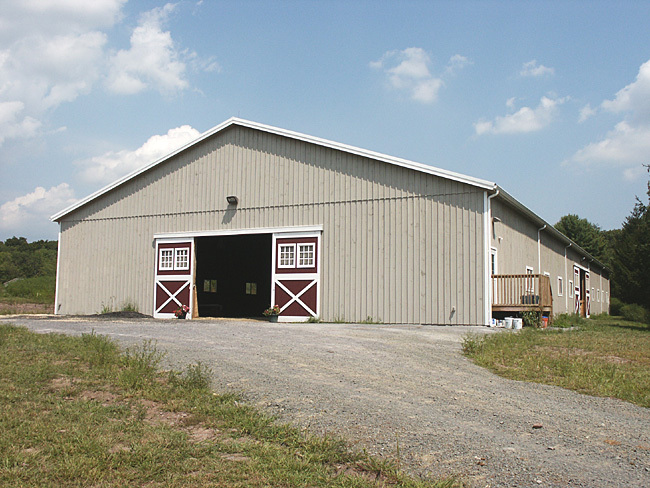 For larger arenas, 80' and wider, steel building is usually more economical to build. 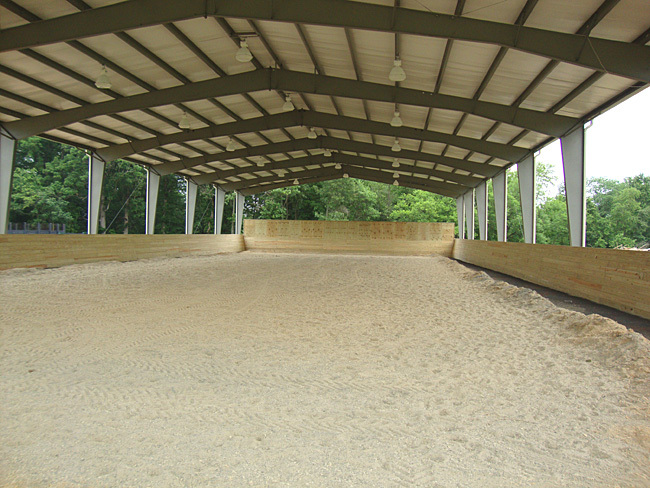 Knowing the importance of properly constructed Indoor Arenas, we use only professional builders that have years of experience in arena construction. 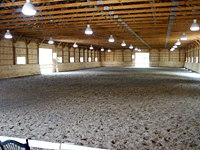 You can rest assured your arena will be properly designed to meet all local codes and will be built with the best available materials by highly skilled craftsmen. 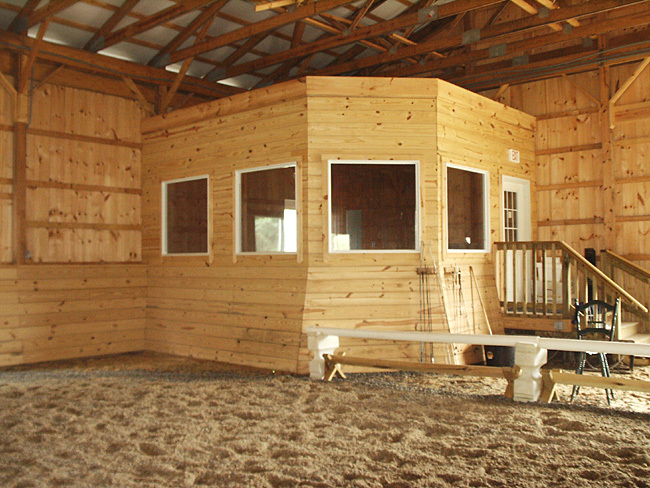 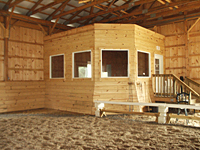 72'x180'x16' Indoor Riding Arena built with wooden siding, metal roof, 5' high sloped kickboards and viewing room. This arena was built using post-frame construction. 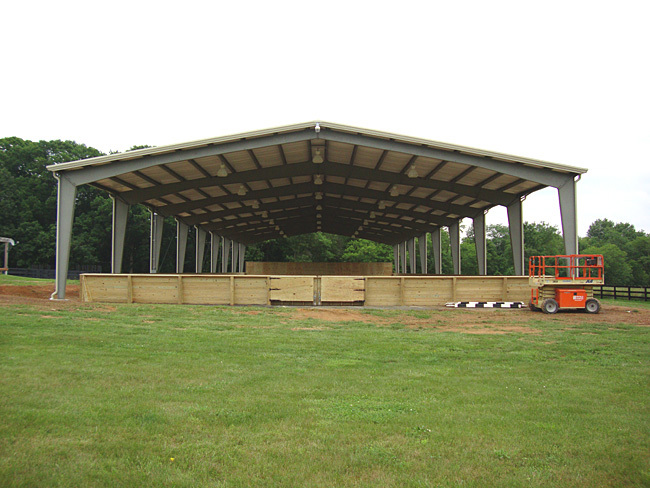 Post frame clear span arenas may be built up to 90' in width, however, over 80' wide buildings get much more expensive since they will require 2-piece "piggy-back" trusses and extra labor to install them. 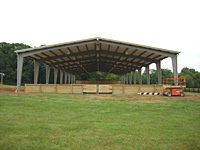 80'x208'x20' Outdoor Ring Canopy with pressure treated 5' high sloped kickboards and mirror wall at one end of the building. 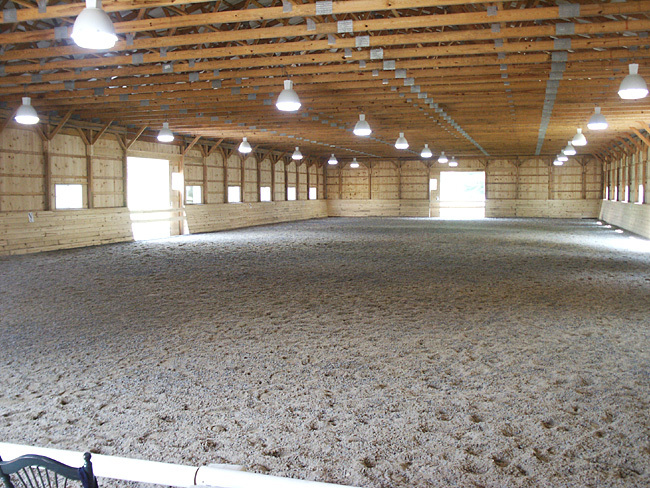 Arenas without sidewalls must be designed by an engineer and built with proper foundation in order to accommodate uplift wind loads. In most cases, due to heavier building design and bigger foundation, there is not much price difference for arena built with sidewalls or without.